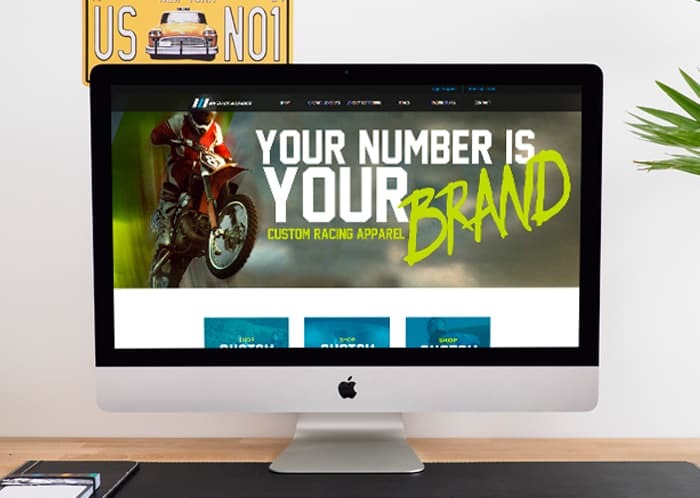 My Race Number asked us to create an online apparel design studio application and custom eCommerce app that catered to the specific and demanding motocross racing audience. They wanted to provide racers and racing fans with the ability to create and purchase custom jerseys and apparel—and they wanted to accomplish this by offering a variety of highly customized templates and designs. Templates and designs that users could completely customize the text, colors, numbers, and clothing! The result had to be something big, something that their customers could use to create an authentic, individual, and expressive brand for themselves or racing team. Oh, and by the way, it also needed to work with vector art and Adobe illustrator. The custom eCommerce application allows store managers to price specific design elements, like shoulder patches or sleeve designs. Making it easy to create upsell opportunities. Easily create products with editable design zones, editable text, and selectable color swatches. Designers can create user editable zones on any type of product. Allows designers to create and export user editable artwork using their favorite software like Adobe Illustrator—artwork is then imported into the custom application, priced, and published. 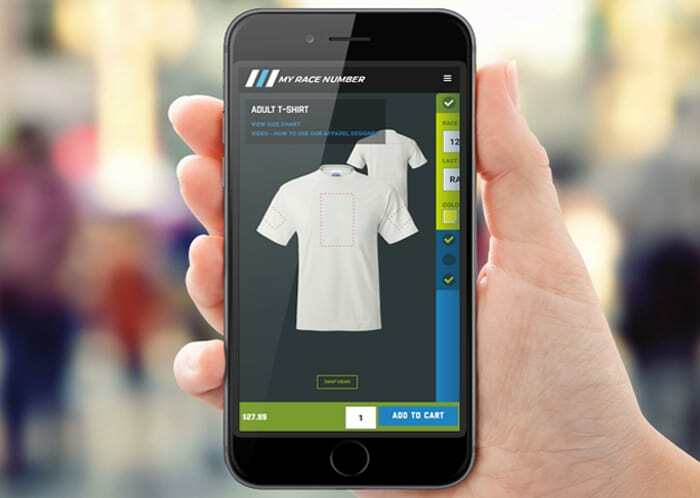 We developed a custom online Apparel Design Studio and mobile application for eCommerce that allows MyRaceNumber artists to create custom designed templates using a program like Adobe illustrator. We then gave them the ability to use these custom templates virtually anywhere on virtually any product (the product types are also highly customization) using custom design zones. After that we added the ability to set specific pricing for each design and (or) customization. We also added a whole bunch of other bells and whistles to their WooCommerce platform to make things extra awesome and extra easy manage. We also designed and developed the entire custom WooCommerce/WordPress website for their super cool Design Studio! This also gives them the ability to sell non-customizable products as well add content like blogs, news, and more!